Lawmakers voted 325 to 306 that they have confidence in May's government, just 24 hours after they handed her Brexit deal a crushing defeat that left Britain's exit from the European Union in disarray 10 weeks before it is due to leave. 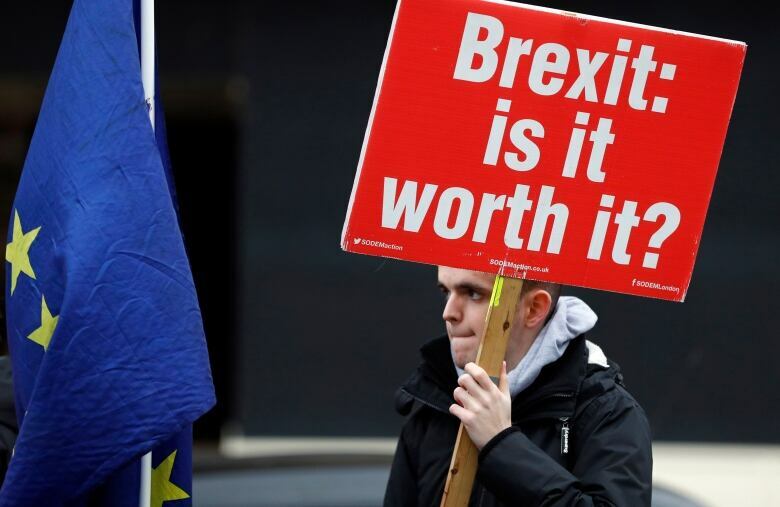 With the clock ticking down to March 29, the date set in law for Brexit, the U.K. is now in the deepest political crisis in half a century as it grapples with how, or even whether, to exit the European project it joined in 1973. But with MPs deadlocked on the way forward, the U.K. could face a disorderly "no-deal" Brexit, a delay to Brexit, or even another referendum on membership. "That's why I am inviting MPs from all parties to come together to find a way forward." The votes on Tuesday and Wednesday brought into sharp relief the problem May faces. She is trying to win over pro-EU supporters in her own party and others without alienating those who keep her in power — for instance, by giving up the "no-deal Brexit" that they see as a crucial bargaining chip. Hardline Conservative Brexit supporters, who last month made an unsuccessful attempt to oust her as leader, and the Northern Irish party that props up her minority government will not countenance a deal that keeps close ties with the EU. "The confidence and supply arrangement [to support May] of course is built upon delivering Brexit on the basis of our shared priorities," said Nigel Dodds, deputy leader of the Democratic Unionist Party. May's spokesperson said she was not ruling out a no-deal option and that it was government policy to be outside an EU customs union. Critics said this meant May was not budging from the deal that had alienated all sides in parliament. Sterling jumped by more than a cent against the U.S. dollar on news of May's Brexit deal defeat on Tuesday and was holding close to that level on Wednesday. Many investors see the prospect of a no-deal exit receding as Parliament hardens its stance against it. Companies warned of catastrophic job losses and chaos at ports without a deal. Trade with the EU would then default to basic World Trade Organization rules, which many argue would disrupt innumerable manufacturing supply chains relying on rapid, friction-free trade. Ever since Britain voted by 52-48 per cent to leave the EU in June 2016, the political class has been debating how to leave the European project forged by France and Germany after the devastation of World War Two. German Foreign Minister Heiko Maas said that "the time for playing games is now over."